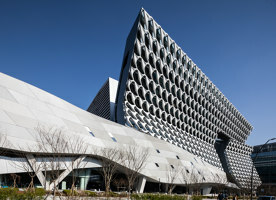 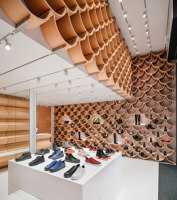 An international survey of recently completed facades demonstrates how architects are deploying the latest advances in materials and digital technology to step up their designs and take major steps towards the future. 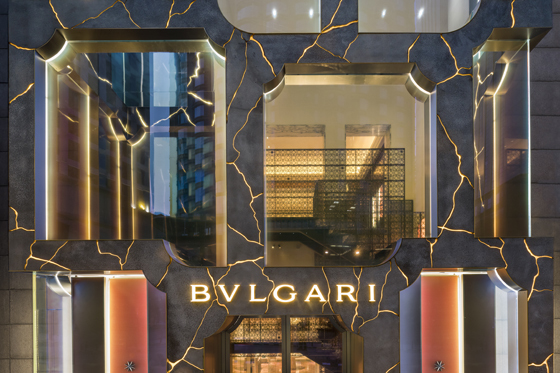 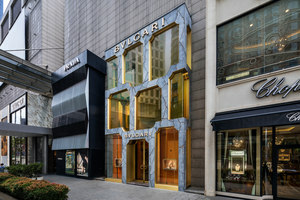 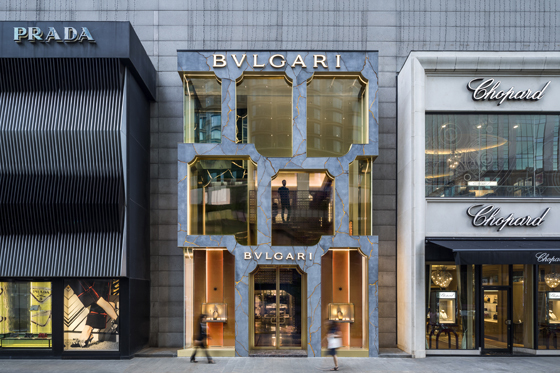 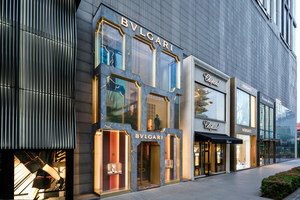 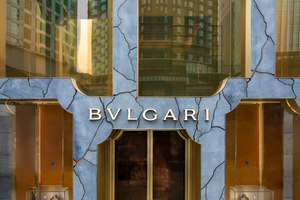 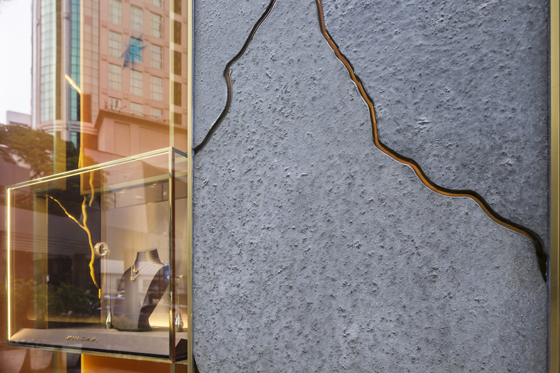 MVRDV’s facade design for Bulgari’s flagship store in Kuala Lumpur is an homage to the luxury brand’s iconic Via Condotti storefront in Rome. 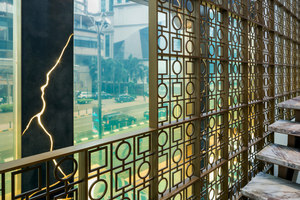 Glass Reinforced Concrete (GRC) was pattern-cut and filled with resin, illuminated by amber LED lights to achieve a marble-veined look, which day and night, emanates a golden glow. 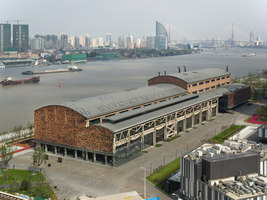 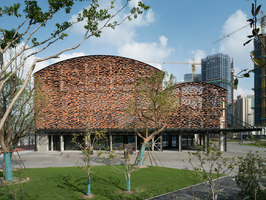 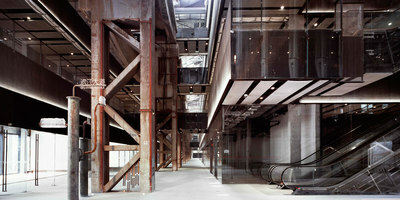 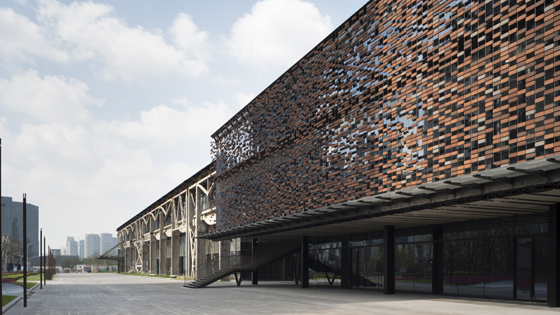 As a way to retain this Chinese shipyard’s character and material essence, Kengo Kuma has designed a permeable brick wall for its west-facing, main facade. 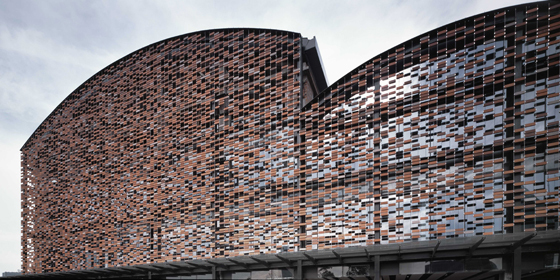 Four different shades of red clay bricks, suspended by stainless-steel-wire fixtures, form a gradient pattern that changes in density, and fades towards the exposed south elevation, a visual reminder of its demolished brick facade. 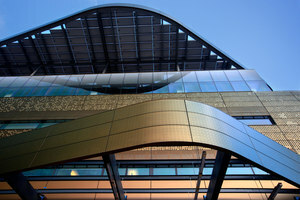 The outermost layer of the Bloomberg Center’s facade is composed of aluminium panels surfaced in an iridescent, PPG-polymer coating, which, from afar, register a continuous image pattern that mirrors several of the site’s views. 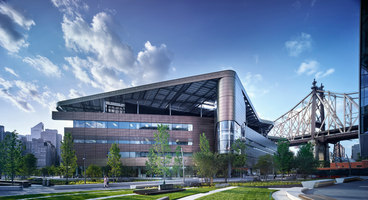 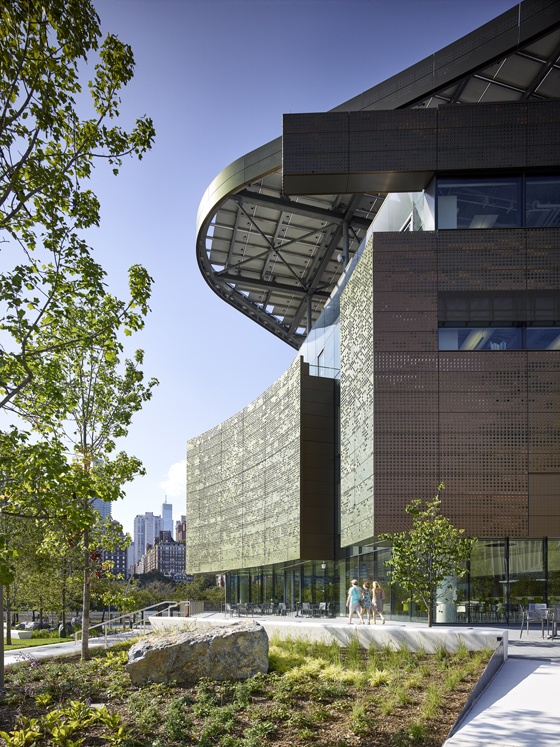 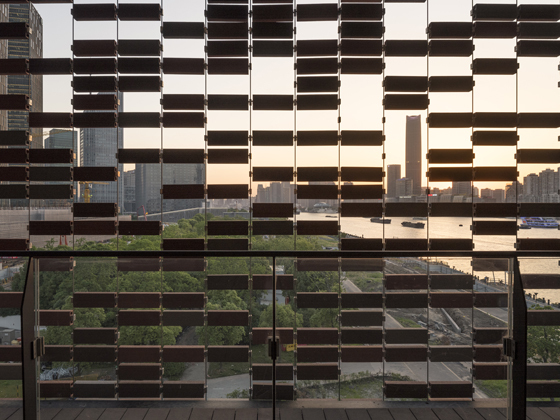 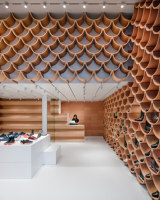 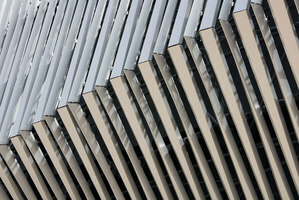 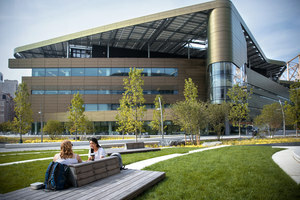 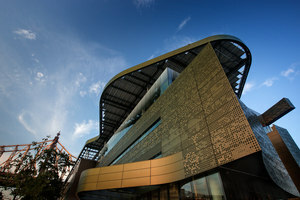 The facade’s 337,500 tabs were mechanically punched by a repurposed welding robot, which, controlled by an algorithm built by MIT and Cornell students, was able to process digital pixel maps created using the architectural-metal fabricator Zahner’s Louvered ZIRATM system. 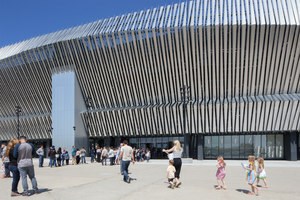 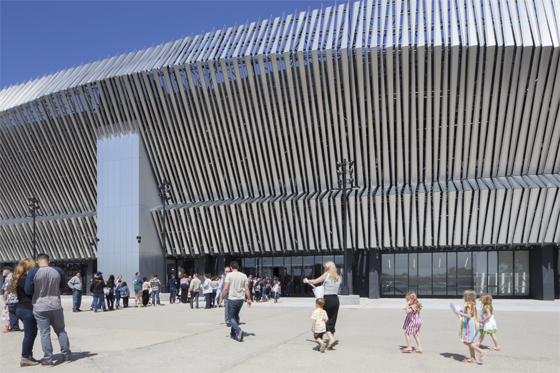 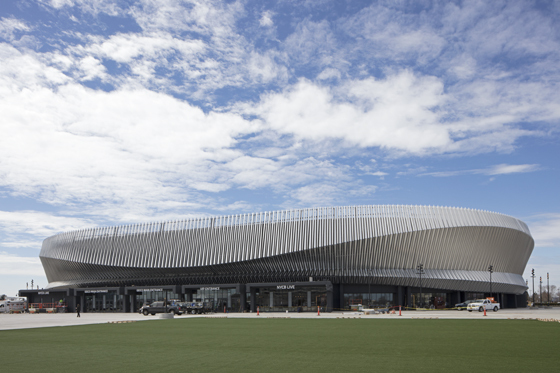 Using the solid mass of concrete enveloping the Nassau Veterans Memorial Coliseum as its framework, SHoP Architects have created an intricate metal facade of folded fins with 225,000 square feet of Alucobond® PLUS, an ultra-light and flexible aluminium-composite material. Each of the 4,700 brushed-aluminium fins that make up the latticework differs slightly in profile and dimension, creating a subtle flow of light and reflection over its surface. 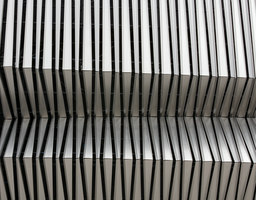 The interior design of the apartments and entrance of Alto in Wembley Park focuses on the flow of space, orientation, light, and a palette of high quality materials. 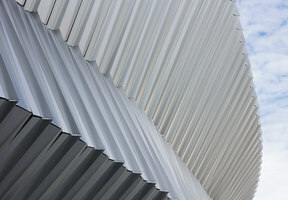 The Swiss luxury brand FOUTA crafts classic Mediterranean towels like those traditionally worn by men and women in the public baths of the 19th century.